I am an experienced writer with excellent research skills. I can write on any subject. I am versatile, critical thinker and creative. Feel free to discuss your projects with me for a better idea! I am very professional and dedicated to my work. I am serving as a therapist, researcher and ghostwriter with devotion and hard work since 2011. I have expertise in assessment, counselling,...Read moreI am very professional and dedicated to my work. I am serving as a therapist, researcher and ghostwriter with devotion and hard work since 2011. I have expertise in assessment, counselling, psychotherapy, nutritional management planning and healthy behaviour training! I provide attention to details and able to understand task requirements quickly. I work fast and capable to handle urgent projects with quality. Won an award as an active mental health professional in Pakistan! 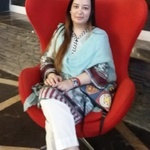 I love reading latest papers, academic writing, doing statistical analysis, interpreting quantitative and qualitative data, report writing and research, teaching, tutoring, tarot reading, Urdu translation, creating impressive and attractive Powerpoint presentations for workshops, lectures and seminars, acting and doing VoiceOver.